The seminar on “The Art of Shirt Making”, to be held at India International Center, Max Muller Marg, New Delhi on 15th September 2018 is the sixth edition from TANTU Textile Alumni Association. Although Indian manufacturers produce some of the finest men’s shirts for domestic market, the export statistics is far from impressive. Most people talk about Bangladesh’s late surge of exports turnover overtaking India, but in respect to Men’s shirt making, Bangladesh was always ahead of India. Way back in year 2000 Bangladesh exported double the volume of men’s shirt to EU than India. Why India has poor record in shirt manufacturing? The answer is complicated…The panel discussion on Business of Shirt Making will try to find answer for same. 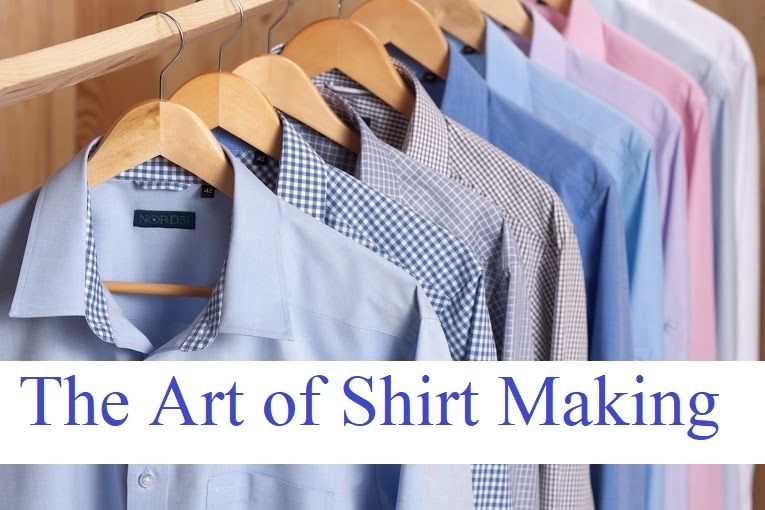 Although Shirt making is perceived as most standard process with least complicated machinery and equipment to be used, is it actually so standard? How much do we really know about Men’s dress shirt making? What are the criticality and control parameters in cutting? Band knife or die cut-which one to be preferred for small parts cutting? Which fusing machine should ideally be used for collar fusing? Why collar and cuff may not need same fusible interlining? How the collar & cuff runstitch should be done to get a neater appearance at back side? Is lap seam by Feed of the arm technically correct seam for side seam join? Should a shirt be ironed or finished? These never ending queries kept the shirtmakers around the world guessing for the right formulae …. The panel discussions on Technology of Shirt Making should be able to deliberate on many of these queries. Dr. Prabir Jana, President, TANTU and Seminar Chairman says, “The panel discussions will be a rare treat to enjoy with video clippings and curated discussions. The experts from some of the finest Shirtmakers from India, Bangladesh, Srilanka and Indonesia will be on panel”. The seminar has already garnered attention from manufacturers and technology solutions providers from India and Bangladesh alike. The experts from Hugo Boss, Switzerland; Laguna Clothing, India; Elite garments, Bangladesh; Raymonds, India; Madura Garments, India have already confirmed to participate in the innovative audio visual panel discussion. Industry veteran Mr. Partho Kar, Chief Consultant at Biswa Bangla Retail, Government of West Bengal has kindly agreed to be the Chief Guest for the seminar. Freudenberg, Germany; Martin Group, Italy; and Tukatech, USA are associated with the seminar as Gold Partner and will present the cutting edge solutions to get efficient with technology. While Freudenberg will present their innovative and latest solutions to shirt interlining, Matin Group powered by SAKHO will compliment with why right fusing machine technology is important for getting a good fused component. Tukatech will present their 3D solutions for shirt making. Time SSD from Romania is associated as Silver Partner and will present how to empower the shirt manufacturers through PMTS to improve their productivity in cost effective way. Freudenbeg Performance Materials, part of 7 billion EURO Group has associated with the seminar as Gold Partner of the seminar. Freudenberg is a Germany-based company offering its customers technically challenging product solutions and services. Sakho Enterpirses was established in India in 2011 with the vision of to build up Quality & Technology under one umbrella. Martin Group is an Italy based 60 year old company in the production of specialized presses for thermo adhesive. Tukatech is garment and apparel industry’s leading provider of fashion technology solutions. Founded in 1995 by garment industry veteran Ram Sareen, Tukatech offers award winning 2D and 3D pattern making, design, and manufacturing software designed specifically for garment makers of all sizes and skill levels, as well as garment plotters, and automatic spreaders and cutters for production. SSD (Standard Sewing Data) was started by AJ Consultants from Finland dated back in 1982. In 2017 the SSD was acquired by DataS, Romania, a growing regional leader in the global market of the apparel sector’s dedicated software solutions. timeSSD® is a standard time data (Predetermined Motion Time) system for labor-intensive industries with special focus on sewing industry and integrated Social Manufacturing features. The other organisations extended their support to the seminar are ApparelResources.com, Coats India, Groz Beckert, Kalpataru Texexim LLP, Pulcra Chemicals, Rajasthan International, and Woodland Worldwide.